Innovation for teaching and learning is born through our collaborations and interconnectedness as educators. In this spirit, the Innovation Lab is a dedicated space at the conference for you to explore the pervasive challenges we face in the classroom and to craft innovative approaches for better reaching our unique populations of learners. What is the Innovation Lab? OLC Innovate is not a passive conference experience! Join the “lab scientists” of the Innovation Lab in a series of live experiments, design thinking challenges and groundbreaking demos. 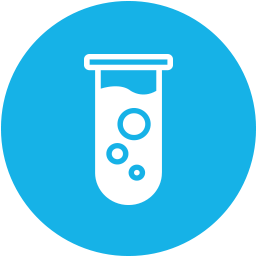 The space is comprised of a series of lab stations for you to reflect and experiment at your own pace, and a live demo area highlighting “guided experiments” to be completed as a group. And new for 2017, we’ll have a Game Lab within the space that will have visitors exploring gameful learning and the science of play. Make the Innovation Lab your hub and your home base at OLC Innovate 2017, using it as a space to recharge, network and ideate throughout the conference. Welcome to “Whose Design is It Anyway?” – a series of sessions where everything is made up and the points don’t matter at all! Improvisation and flexibility are hallmarks of innovation. In the Innovation Lab, we’re not only prepared to live that out – we want you to join in the fun too! Join us for our series of “Whose Design is it Anyway?” improv sessions, where we will incorporate Design Thinking and educational technology. Our audience and our contestants will collaborate to generate creative solutions and suggestions for incorporating technology into their teaching practices. Check out the Innovation Lab schedule below for the schedule of “Whose Design Is It Anyway?” rounds (all during the networking coffee breaks), and make plans to join in the fun. If you’re looking for a great way to step out of your comfort zone and create solutions for others, sign up below to participate. You might even pick up a prize for your improvisational genius! Want to learn more about the Innovation Lab and how you can get involved? Ask us your questions on social media with the hashtag #OLCInnovationLab. We’re excited to start the conversation, and looking forward to innovating with you in person in New Orleans. 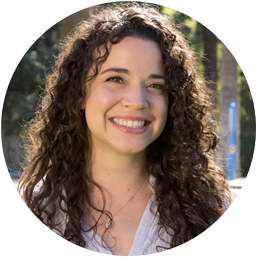 Venessa Ball is the Senior Graphic Designer for the Office of Digital Learning at The University of Arizona. She studied Graphic Design at Utah State University – during that time, she studied abroad in Switzerland where she learned the power of gathering inspiration from everything around her. Following her graduation, Venessa served as a Senior Product Designer for an industry-leading scrapbook company in Utah. It was there that she learned how the design thinking process, when applied to a product development timeline, could foster stellar results through collaborative ideation, industry research and numerous prototypes. Venessa’s enthusiasm and passion for all things design led her back to her home state and The University of Arizona. At the UA, Venessa works with a team of instructional designers, utilizing design thinking to produce course visuals for UA Online. She is currently pursuing a Master of Fine Arts in Graphic Design. When she’s not designing, she’s exploring the best of Southern Arizona with her boyfriend and two dogs. Phylise Banner is an online teaching and learning consultant with extensive experience in planning, designing, developing, delivering, and evaluating online courses, programs, and faculty development initiatives. Her work focuses on aligning institution-wide approaches to program, course, and professional development with teaching and learning effective practices and the Community of Inquiry framework. As an online learning evangelist, she actively seeks out opportunities to experiment with emerging technologies in order to best serve faculty and students, and to create communities of lifelong learners. She is featured regularly at regional, national and international conferences, speaking on the topics of online teaching and learning, faculty development, instructional strategy, experience design, social media, information visualization and GIS technologies. 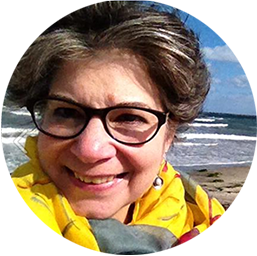 She also teaches Digital Storytelling online for SUNY Polytechnic Institute, and in person for the Academy for Lifelong Learning at Empire State College. 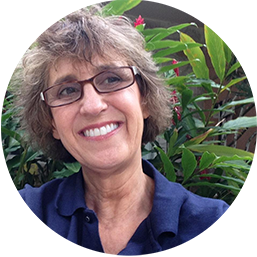 She is an Adobe Education Leader, STC Fellow, performance storyteller, avid angler, aviation enthusiast, and currently training to be a private pilot. She is also the proud owner of a 1967 Amphicar. Steven has over 20 years of higher education and distance learning experience and is the Associate Director of Academic Innovation at Arizona State University’s College of Nursing and Health Innovation. His role is to collaborate with the College’s programs to implement pedagogical and technological strategies that increase student outcomes in face-to-face, blended, and online courses. Rick is a Computer Operations Tech that also works as a Student Technology Support Specialist for the Extended Learning Institute of Northern Virginia Community College. Rick has over 30 years of customer service, training, voice and data experience. 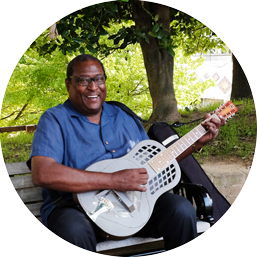 Rick also has over 30​ ​y​ea​rs of experience performing Acoustic Finger-style Blues with vocals.​ ​Feel free to ask RIck about use of PC, Mac, iPad, iPod, Android, Tele-Presence devices and applications used with Education Technology, Piedmont Blues style and technique, and Resophonic Guitars. 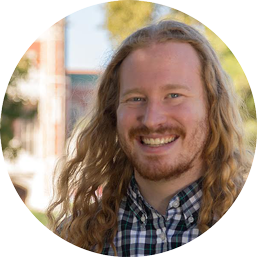 Dave began working at Michigan State University in 2012 where he leverages effective active learning strategies while using emerging technologies. Dave works in The Hub for Innovation for Learning & Technology where he collaborates with faculty to develop new courses, redesign existing courses, and consult on instructional learning object projects. He also enjoys facilitating faculty workshops and being a guest instructor from time to time for MSU’s College of Education. 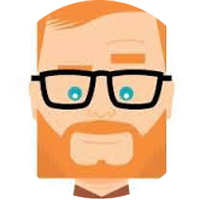 Dave began as an Instructional Designer in the Office of Academic Technology Spring Arbor University in 2008 where he was elected the Faculty Representative for the Staff-Administration Personnel Association. He also helped in the early stages of starting up the MyBlend program at Michigan Virtual University. Before this, he was a high school science and physical education teacher. He has a Masters degree in Education specializing in Instructional Design for Online Learning from Capella University. Dave is a musician and photographer. He enjoys being active outdoors in his spare time. Dave and his wife live in Jackson, Michigan. Together they own Meadow Lace Photography and have three boys. Keegan Long-Wheeler is an educational technologist in the Center for Teaching Excellence at the University of Oklahoma. 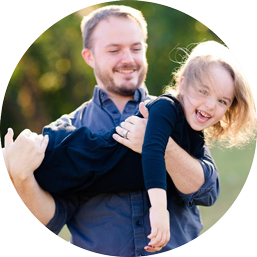 Keegan uses his background in science, pedagogy, and technical expertise to provide instructors with holistic solutions to their instructional and technological needs. Additionally, Keegan passionately creates open source professional development curriculum to engage faculty in digital literacy, experiential learning, game design, coding, and more! In particular, Keegan is currently immersed in GOBLIN and eXperience Play. 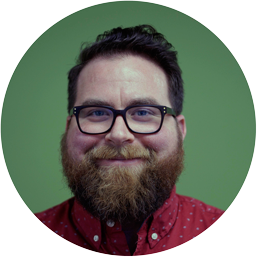 Adam is an Instructional Designer at Dartmouth College. Adam helps faculty across the undergraduate college to develop student-centered learning experiences. 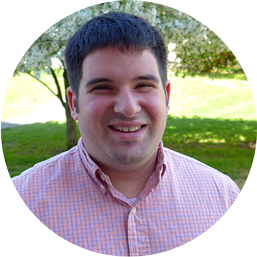 At Dartmouth, Adam is the instructional design lead the Experiential Learning Initiative. 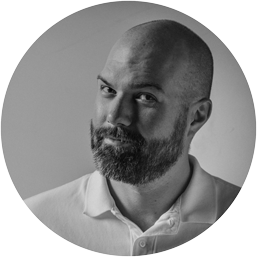 Adam has experience with using iPads in the classroom, student media projects, student portfolios, and both MOOCs and distance learning projects. Ben works in the Office of Distance Education and eLearning at The Ohio State University, where he is the Program Manager for College Ready Ohio, a state-funded grant initiative aiming to bridge the worlds of K12 and higher education through teacher professional development, strategic technology implementation, and online/hybrid learning. In addition, Ben coordinates OSU’s GE Online initiative, which aims to develop beautiful online sections of high-enrollment general education courses. Ben has master’s degrees in educational philosophy and psychology and in business administration, both from The Ohio State University. A former high school educator and learning specialist with OSU’s student athletes, Ben is also an Associate Director with the non-profit iBELIEVE Foundation, which promotes leadership development in Appalachian youth. John Stewart is the assistant director for digital learning in the Center for Teaching Excellence at the University of Oklahoma. John is interested in using games in the classroom promoting digital literacy and opportunities for undergraduate research. Before joining the center, John lectured on history of science at the University of Oklahoma and Missouri University of Science and Technology. He earned his Ph.D. in the History of Science from the University of Oklahoma. Dr. Ryan Straight is currently Senior Lecturer of Educational Technology at the University of Arizona, South. He holds a PhD in Instructional Technology from Ohio University, where he also earned his MEd in Cultural Studies in Education and a BS.Ed in Integrated Language Arts. He teaches fully online at the undergraduate and graduate levels in topics like serious game design, human-computer interaction, designing online learning environments, and the classroom integration of technology. 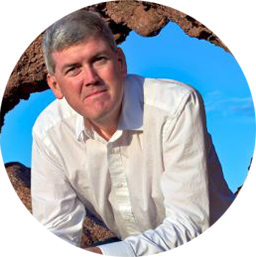 In addition to teaching, Dr. Straight is Principle Investigator on an ongoing Innovative Learning Project grant at the University of Arizona (2016-2018). He writes on mobile learning technologies, augmented reality, and social presence in online education, and has been invited to present at international conferences and a variety of learning symposiums. He lives in Tucson, AZ with his girlfriend and their two dogs. With continued growth in online learning and test-taking, education and training professionals wrestle with the challenge of maintaining exam integrity. Examity®, the world leader in online proctoring software and support, is an enterprise-wide test integrity solution ideal for universities and corporations. We empower institutions with the flexibility to select the level of security that matches each unique test. Examity® offers around the clock support and seamless integration with all learning platforms. As the recognized leader in the industry, Examity® partners with universities and corporations worldwide. PSI/Software Secure provides assessment solutions for any learning environments in higher education, K-12 and certification programs. It is the only full-service test administration company that offers everything from test item creation tools and student authentication to proctoring in any modality, including live, record and review, secure kiosk and testing centers. 450+ of the most recognized institutions turns to PSI/Software Secure to help assure the integrity of degrees and credentials earned online. Anytime, anywhere - any method.